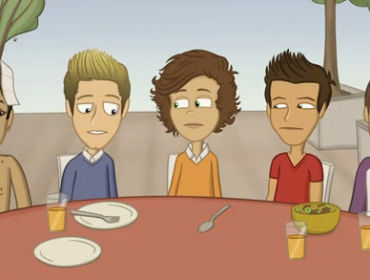 The cartoon features the teen sensations, One Direction, as they attempt to stop Mega Fan from destroying the world. 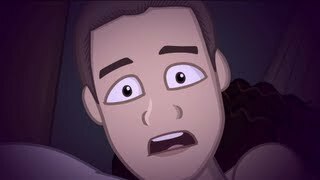 The cartoon also features some well-known, and perhaps not so well-known, facts about the boys including Liam Payne’s unusual fear of spoons and Niall Horan’s love for Nando’s and general love of food. If you know your films, you’ll also notice a parody scene of Pink Elephants on Parade featured in Dumbo (although some people are mistaking it for Heffalumps and Woozles in Winnie the Pooh and that irritates me because I’m a Disney nerd, but we’ll let it slide) and one of the characters turning into Gollum from Lord of the Rings. The 30-minute YouTube video reached over thousands of views in less than 24 hours of Mark uploading and has now reached over 5 million views. Fans have been going crazy for this sequel since the first AAoOD which was first uploaded back in May 2012 and even caught One Direction’s attention. I really, really enjoyed this cartoon and I hope that there will be another one in the future. It was so fun to watch and I cannot express how much I respect Mark for putting all the time and effort into creating it.